Project: To create a completely custom website with all custom modules, that focused on piece of furniture, information about the company, and design tips and advice. Summary:Our second UK site to go live! Now with a fabulous redesign! Catherine met them while rowing the Henley Regatta on the Thames. (Yes, one of us is an athelete) -- This company sells previously owned office furniture -- a good idea. 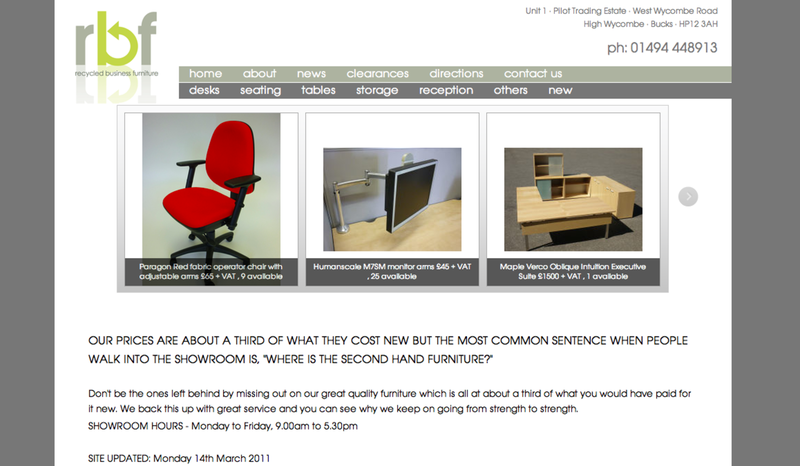 If you are in the area you might consider Recycled Business Furniture.